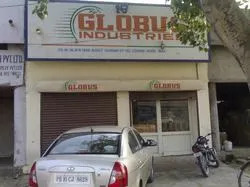 Globus Industries was established in the year 2009 as a sole proprietorship organization. The company is engaged in Manufacturing and Exporting of a vast range of Hand Tools, Agriculture Garden Hand Tools, Building And Construction Hardware, Fasteners & much more. Our range consists of Spanners, Pliers, Pincers, Cross Wheel Rim Spanners, Vices, Carpentry & Wood Working Tools, Plumbing Tools, Wrenches, Lubricating Tools, Striking Tools, Mason Tools, Aprons (leather), Garden and Agri Tools including Hoe and Pick Axes. Manufactured with utmost precision as well as using the high-quality raw material, our products are widely acknowledged amongst the clients for their exclusive features such as precision engineering, corrosion resistance, high efficiency, sturdy construction and much more. We source material from the certified and most authorized vendors of the industry, holding vast knowledge in their respective domain. Apart from this, our persistent endeavor towards reliability as well as performance has helped us to set a benchmark in the market of Europe, South East Asia, North & South Africa, Middle East and other Latin American countries. Our entire business operations are carried out under the prudence guiding principles as well as the careful leadership of our company’s proprietor, Mr. Inderdeep Singh, having more than 20 years of experience in this trade. His endless support, guidance, ethical practices and business intelligence has enabled us to acquire a remarkable place in this competitive industry. 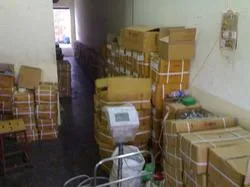 Working with our prior aim of making fault free delivery of consignment in the industry has enabled us to acquire maximum support and trust of the clients based all over the nation. Material that has been used to manufacture our range is strictly examined on defined industrial parameters by our experts, so that no indiscretion or irregularity appears in our finished range of products. Our company is equipped with a state-of-the-art infrastructural set-up, outfitted with ultramodern tools and equipment. It is systematically partitioned into different other units and every department has been given an adequate place to carry out their activities. Through this, our specialized team members are capable of managing maximum programs and activities on regular basis. Being a customer centric organization, we focus on supplying desired and excellent quality range of products to our valuable clientele. Our experts manufacture products according to the prescribed industrial norms and at affordable prices. Various payment options are provided to make hassle free monetary transaction. 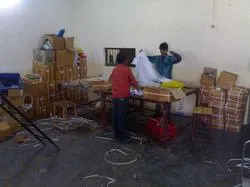 Our prompt delivery of consignment as well as excellent quality range of products has brought recognition for our organization from all across the country. We are getting the orders from our respected clientele, owing to our consistent delivery of desired product range in the market.